Jihad Watch : He was “briefly detained by Belgian police for anti-Semitic hate crimes.” Good. He will henceforth be a loyal, productive Belgian citizen, and all will be well. Won’t it? “Antwerp man filmed destroying 20 mezuzahs, harassing Jews,” JTA, February 11, 2018: (JTA) — A 24-year-old refugee, believed to be Muslim, was briefly detained by Belgian police for anti-Semitic hate crimes, including the destruction of at least 20 mezuzahs in Antwerp, local Jews said. 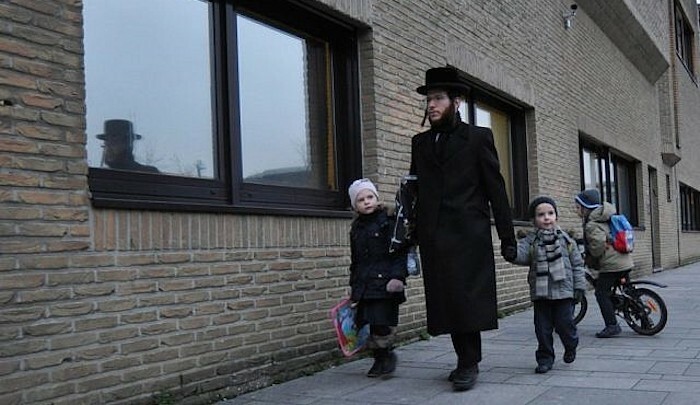 The man was spotted hanging around an area of the city that is heavily populated by Orthodox Jews after his release Saturday, Joods Actueel reported based on information from Shmira, the Jewish community’s security service.